This entry was posted in online journalism and tagged audio slideshows, blogging, chat, community management, fake news, interactivity, liveblogging, online journalism handbook, online video, podcasting, UGC, verification on November 6, 2017 by Paul Bradshaw. Qanda is a new app which invites you to ask your friends, idols, politicians, or anyone else, questions and, crucially – using selfie video – provides the opportunity for you and your subjects to share the answers. Anna Noble speaks to creator Martin Verpaalen about the potential of the app (currently only available on iOS) for journalists. This entry was posted in online journalism and tagged Anna Noble, Martin Verpaalen, mobile video, online video, Qanda, voxpops on March 24, 2016 by Anna Noble. Here are a series of videos, audio slideshows and podcasts that demonstrate some key lessons in producing audio and video for the web – and how that is different from broadcast. This entry was posted in online journalism, television and tagged Answer me This, audio slideshows, CBC, Charlie Brooker, Franzi Baehrle, Freakonomics, Haiti, hedy korbee, Ira Glass, multimedia, narrative, New York Times, online video, podcasts, The Do Not Enter Diaries, Trapped in an elevator 41 hours, youtube on February 13, 2013 by Paul Bradshaw. In this fifth and second to last part of this series I’ll review the research on how and to what degree multimedia is utilized in online journalism. Previous parts of this series have focused on the revolution that never happened (part 1); how to define the three main assets of new technology to online journalism — interactivity, hypertext and multimedia (part 2); the research on the use of hypertext in online journalism (part 3); and the research on online journalism and interactivity (part4). As with hypertext and interactivity, most studies of multimedia in online journalism rely on content analysis of websites. Tanjev Schultz (1999) found that only 16 percent of online newspapers in the US had multimedia applications in the late 1990s. Two more qualitative oriented content analysis studies revealed similar lack of multimedia (In the US, Canada and the Netherlands: Nicholas W. Jankowski and Martine van Selm (2000); In the US: Wendy Dibean and Bruce Garrison (2001) (only excerpt available for free)). Jankowski and van Selm concluded that of all supposed added value facilities of online journalism multimedia “is perhaps the most underdeveloped” (2000, p. 7). However, online news sites affiliated with TV stations were more prone to utilize multimedia according to the same study. Yet, in a more extensive investigation of TV broadcasters’ online news sites in the US (pdf available), Mary Jackson Pitts (2003, p. 5) lamented: “[t]he majority of stations provide text-only stories, thus failing to use the multimedia capabilities of the web”. In their extensive investigation of European online journalism, Richard van der Wurff and Lauf (Eds) (2005) found that print newspapers were as much about multimedia as online newspapers (this study is not available online). Thorsten Quandt (2008) (only abstract available for free) found that 84.5 percent of the 1600 stories he analyzed in 10 online news sites in the US, the UK, Germany, France and Russia were strictly text-based. In Scandinavia, Martin Engebretsen (2006) (pdf available) found that online newspapers used a bit more multimedia, but still not more than found in previous studies in the US. Daniela V. Dimitrova and Matt Neznanski’s (2006) study of the coverage of the Iraq war in 2003 in 17 online newspapers from the US and elsewhere showed no increase in the use of video and audio in the US newspapers compared to Tanjev Schultz’s study published seven years earlier. Furthermore, they found minimal difference between the international and the US online newspapers (slightly more use of multimedia in the US online newspapers). However, Jennifer D. Greer & Donica Mensing (2006) (book chapter partly available through Google books) found a significant increase in multimedia use during the same period (1997-2003) in their longitudinal study of online newspapers in the US. Studies relying on interviews and surveys with online journalists and editors reveal some of the possible reasons for the lack of multimedia in online journalism found in the content analysis studies. According to Michele Jackson and Nora Paul (1998) (the US) and Christoph Neuberger et al. (1998) (Germany) online journalists and editors had a positive attitude towards utilizing multimedia technology, but problems related to lack of staff, inadequate transmission capacity and other technical issues obstructed the materialization of multimedia content. Later studies indicate that online journalists and editors downscale the value of multimedia content: Thorsten Quandt et al. (2006) (only abstract available for free) found that multimedia was considered to be the least important feature of web technology for online journalism. John O’Sullivan (2005) found similar results in his qualitative interviews with Irish online journalists (only abstract available for free). Niel Thurman and Ben Lupton interviewed 10 senior editors and managers affiliated with British online news providers and found that the general sentiment was that “text was still core” (2008, p. 15). However, in his PhD dissertation (which is not available online) Arne H. Krumsvik, in interviews with CNN and NRK (Norwegian public broadcaster) executives, found a much more positive attitude towards multimedia than towards interactivity and hypertext (2009, p. 145). And in a recent case study of multimedia content on the BBC online (only abstract available for free), Einar Thorsen concludes that video content has increased tremendously (Thorsen, 2010). There are not many studies that investigate the users’ attitudes towards multimedia news online. In an experimental study (pdf), S. Shyam Sundar (2000) found that those who read text-only versions of a story gained more insight into the topic of the story than those who read/viewed multimedia versions of the same story. Hans Beyers (2005) (pdf) found that only 26.4 of the Flemish online newspaper readers in his survey thought the added value of multimedia was an important reason to read online newspapers. 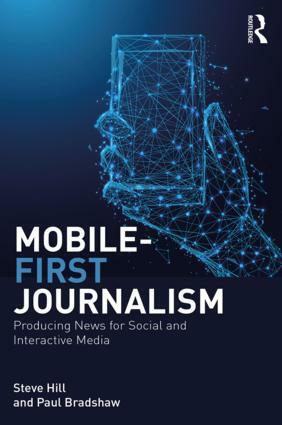 To summarize the findings of the research on multimedia in online journalism deriving from the techno-approach, it seems that multimedia remains the least developed of the assets offered to journalism by Internet technology. Online journalism is mostly about producing, distributing and consuming written text in various forms, even though some recent studies describe an increase in the use of especially video. This falls in line with the general increase in online video watching described in a recent Pew Internet report. However, it seems that online news sites are struggling to cope with multimedia. In the last part of this series I will conclude on what we might learn from the research on the utilization of hypertext, interactivity and multimedia in online journalism. Might their be other ways of understanding the development of online journalism then through the lens of technological innovation? This entry was posted in online journalism and tagged multimedia, online journalism, online video on August 10, 2010 by Paul Bradshaw. Next Thursday is the news:rewired event at City University London, which is being put on by the good people at journalism.co.uk. I’ll be on hand as a delegate. All of the bases will be covered, it seems: Multimedia, social media, hyperlocal, crowdsourcing, datamashups, and news business models. This entry was posted in mobile, newspapers, online journalism, twitter, user generated content and tagged 21st century newsroom, citizen journalism, crowdsourcing, Hyperlocal, interactivity, journalism, online journalism students, online video, podcasts, twitter, web 2.0 on January 6, 2010 by Paul Bradshaw. National newspapers have a total of 1,068,898 followers across their 120 official Twitter accounts – with the Guardian, Times and FT the only three papers in the top 10. That’s according to a massive count of newspaper’s twitter accounts I’ve done (there’s a table of all 120 at that link). @GuardianNews is 2nd with 25,992 followers, @TimesFashion is 3rd with 24,762 and @FinancialTimes 4th with 19,923. Glorified RSS Out of 120 accounts, just 16 do something other than running as a glorified RSS feed. The other 114 do no retweeting, no replying to other tweets etc (you can see which are which on the full table). No following. These newspaper accounts don’t do much following. Leaving GuardianTech out of it, there are 236,963 followers, but they follow just 59,797. They’re mostly pumping RSS feeds straight to Twitter, and see no reason to engage with the community. Rapid drop-off There are only 6 Twitter accounts with more than 10,000 followers. I suspect many of these accounts are invisible to most people as the newspapers aren’t engaging much – no RTing of other people’s tweets means those other people don’t have an obvious way to realise the newspaper accounts exist. Sun and Mirror are laggards The Sun and Mirror have work to do – they don’t seem to have much talent at this so far and have few accounts with any followers. The Mail only seems to have one account but it is the 20th largest in terms of followers. The full spreadsheet of data is here (and I’ll keep it up to date with any accounts the papers forgot to mention on their own sites)… It’s based on official Twitter accounts – not individual journalists’. I’ve rounded up some other Twitter statistics if you’re interested. 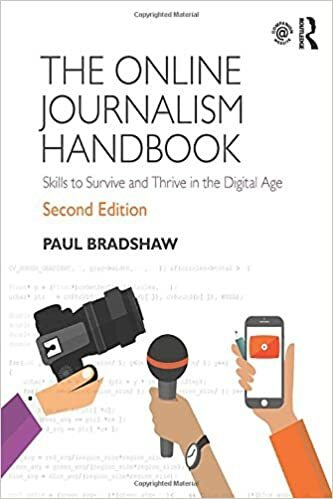 This entry was posted in data journalism, newspapers, online journalism, twitter, user generated content and tagged community, daily mail, FT, Guardian, online video, social networking, Telegraph, the sun, Times, Trinity Mirror, twitter, web 2.0 on July 7, 2009 by Paul Bradshaw.